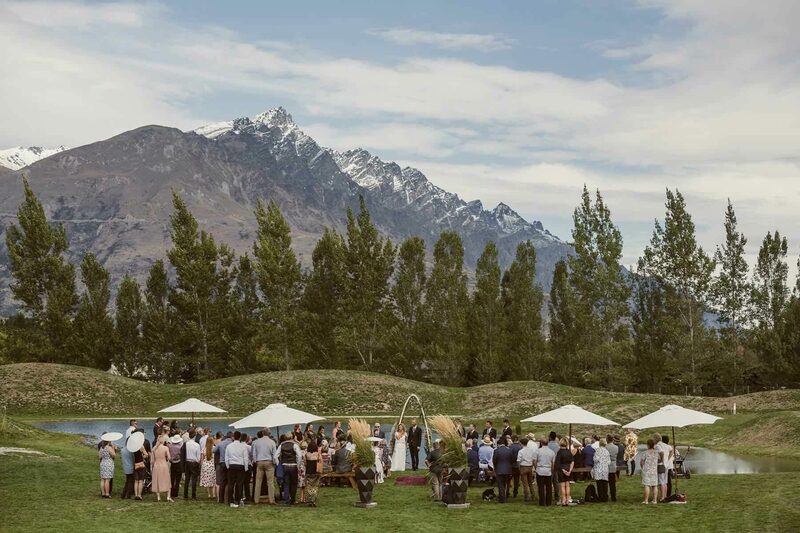 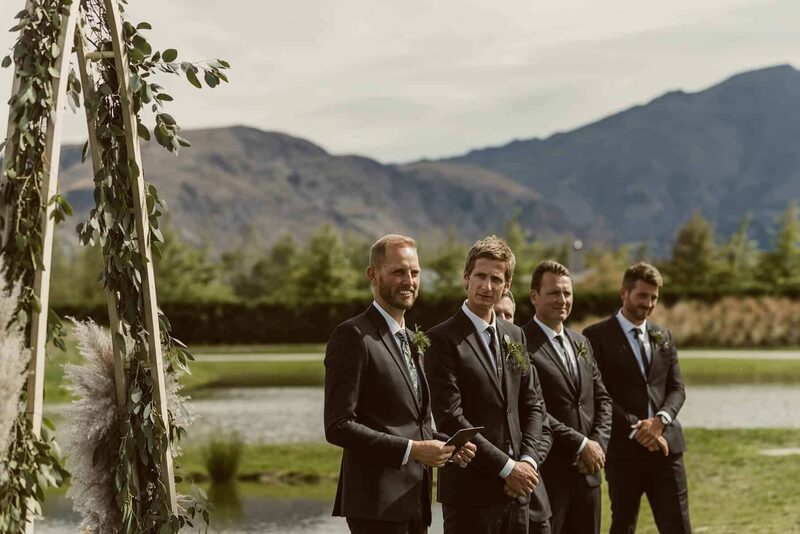 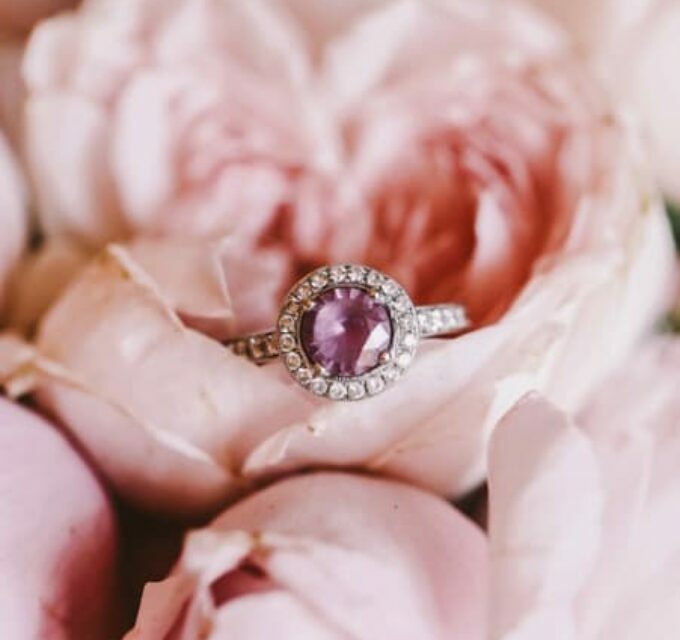 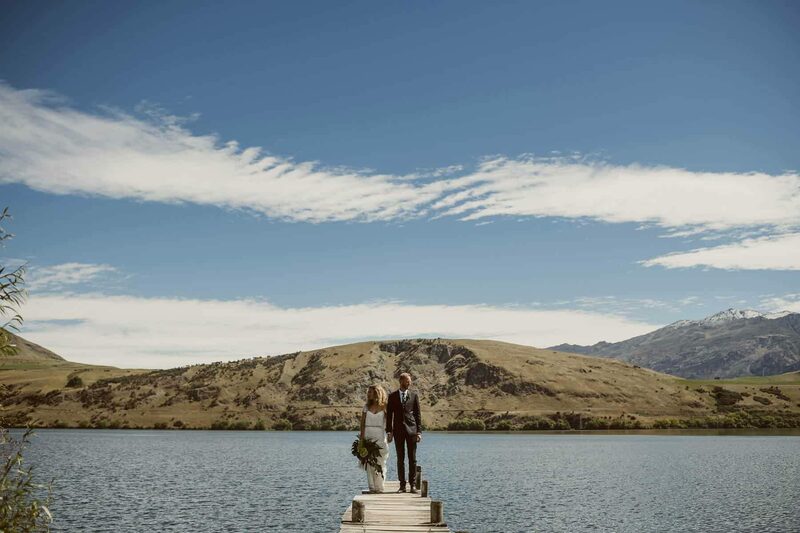 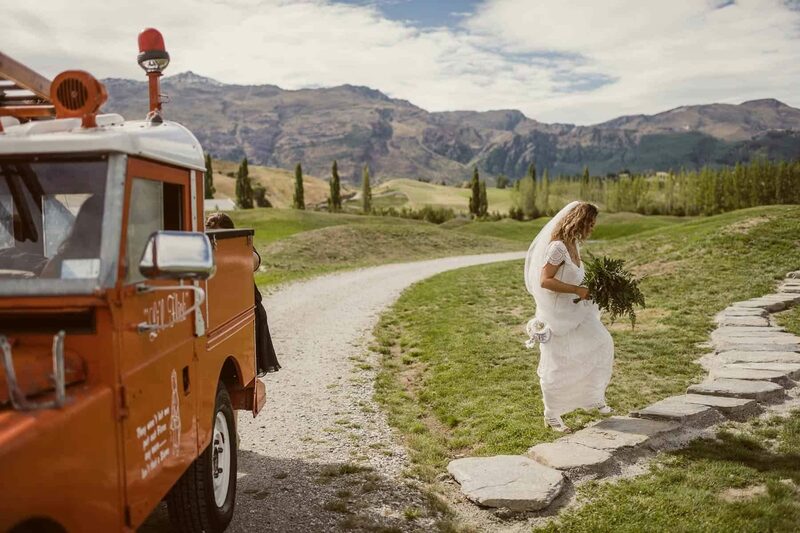 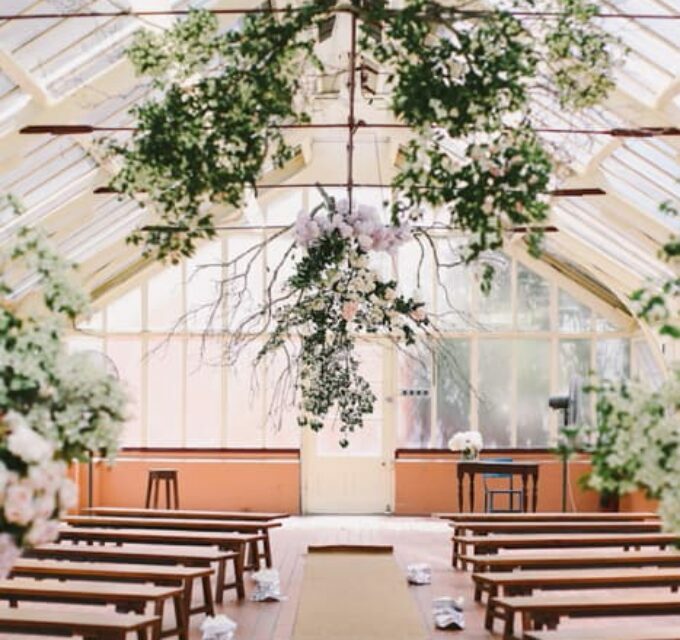 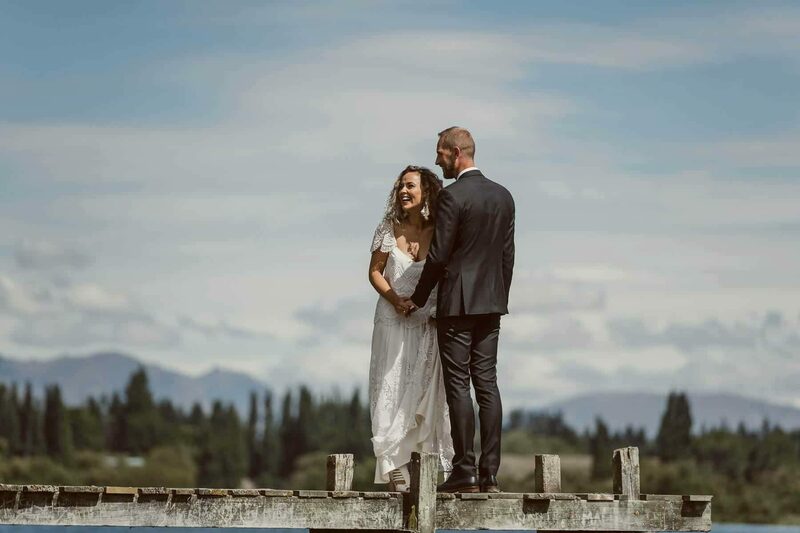 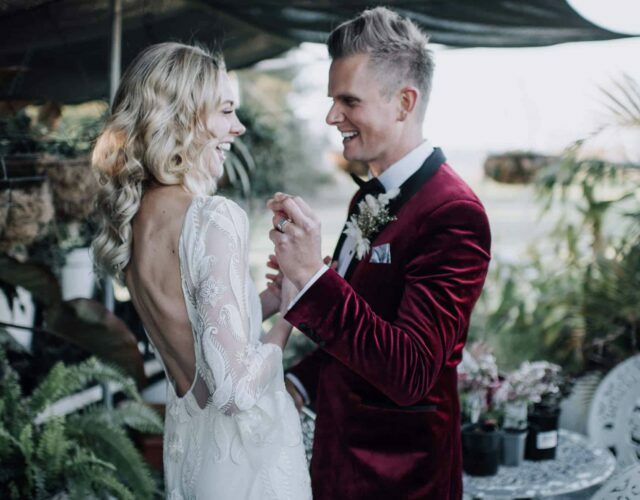 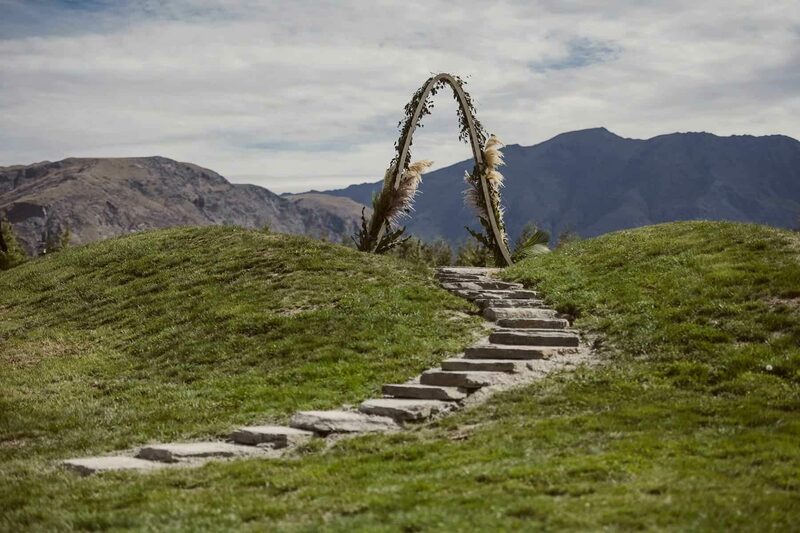 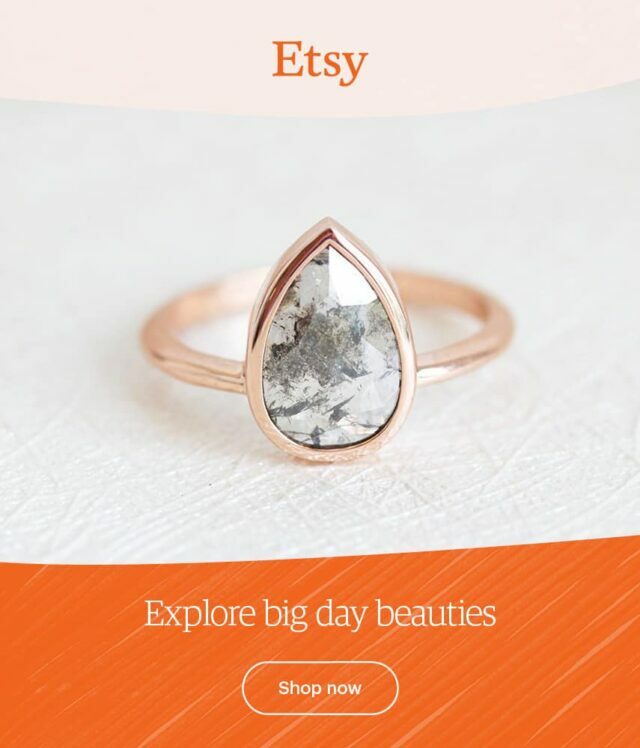 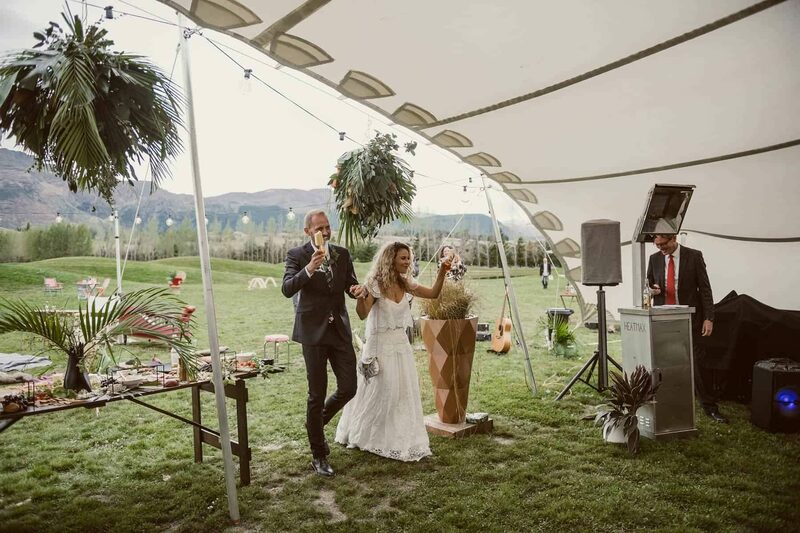 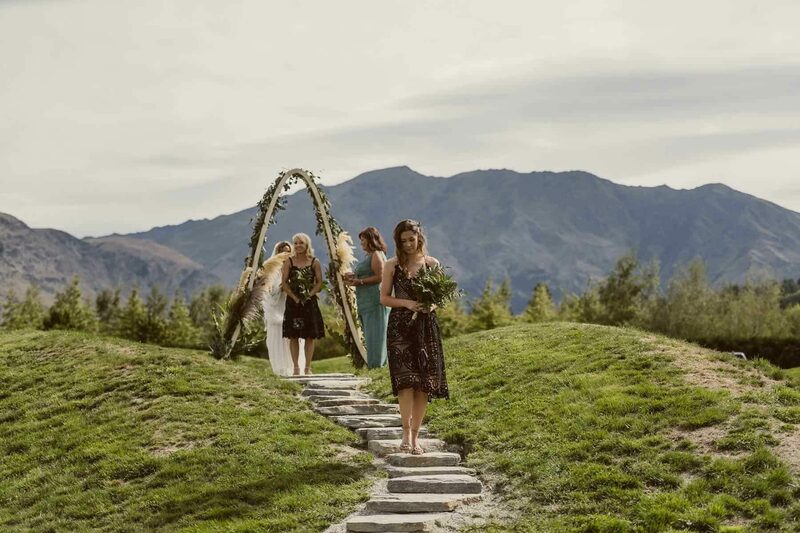 This Aussie girl and Kiwi boy had to decide whether to wed back in Australia or at home in NZ, but with Queenstown’s ridiculous scenery it’s easy to see why they stayed put! 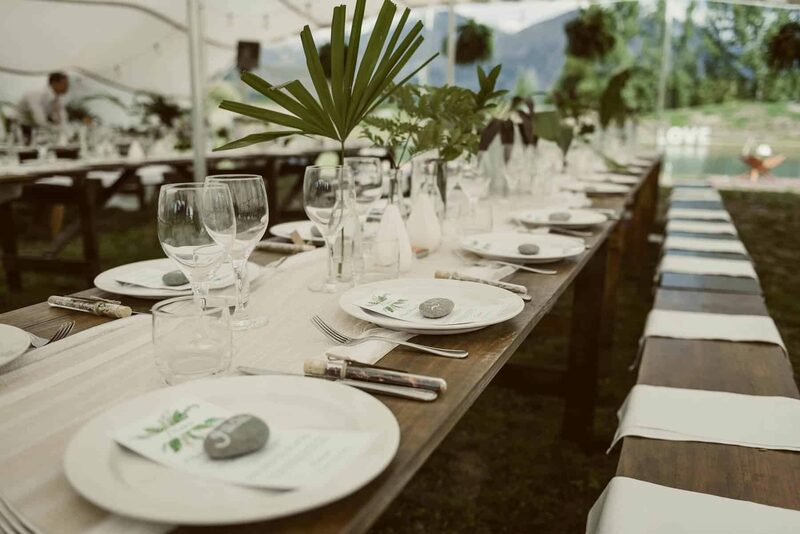 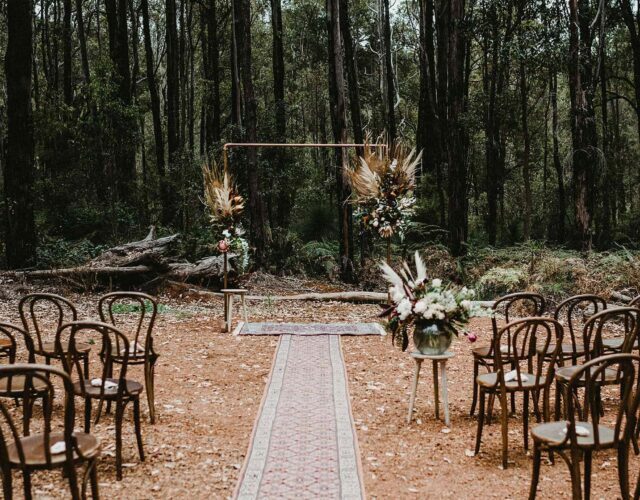 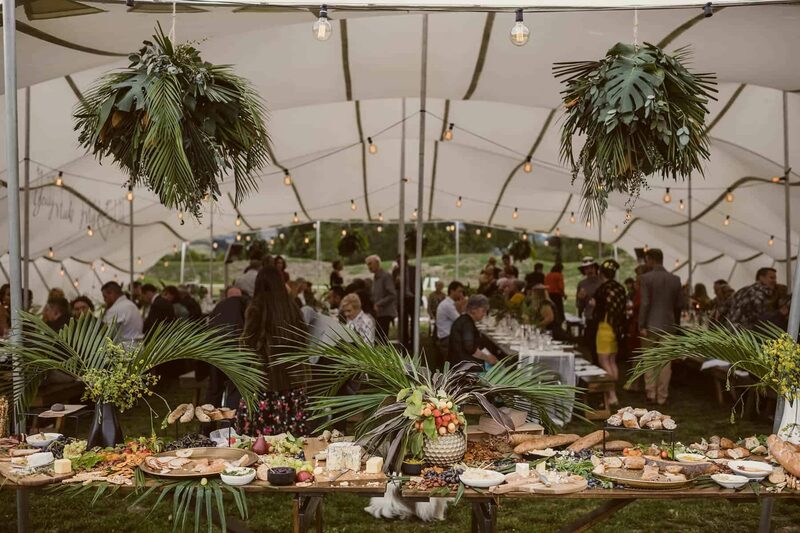 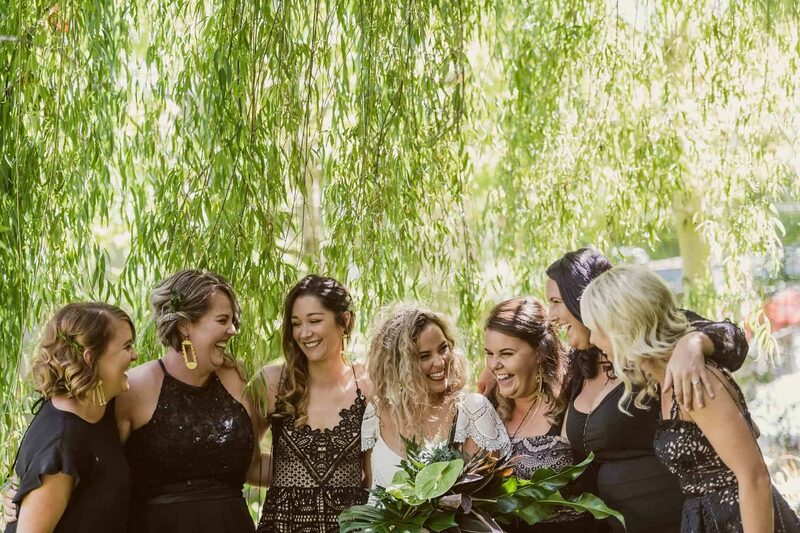 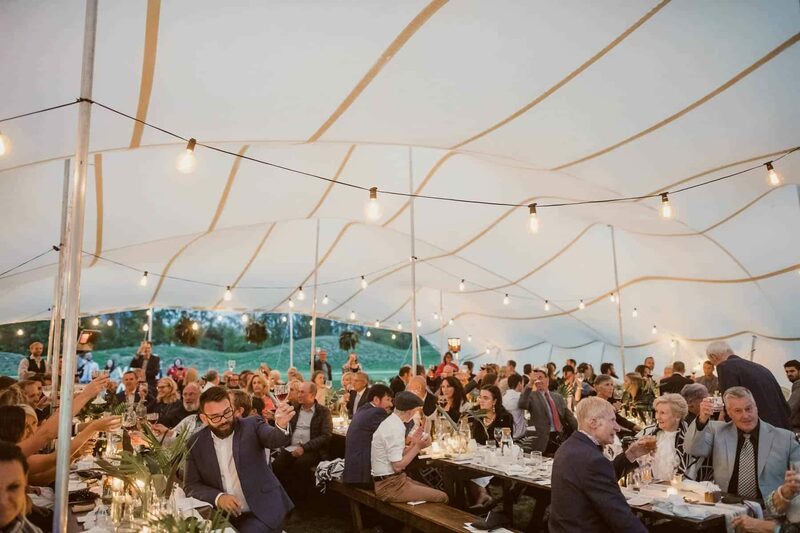 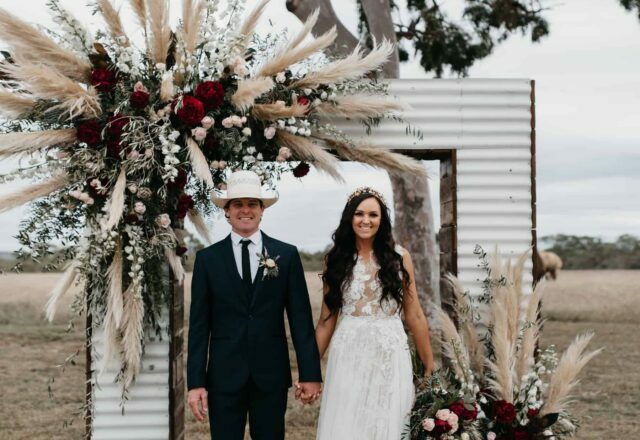 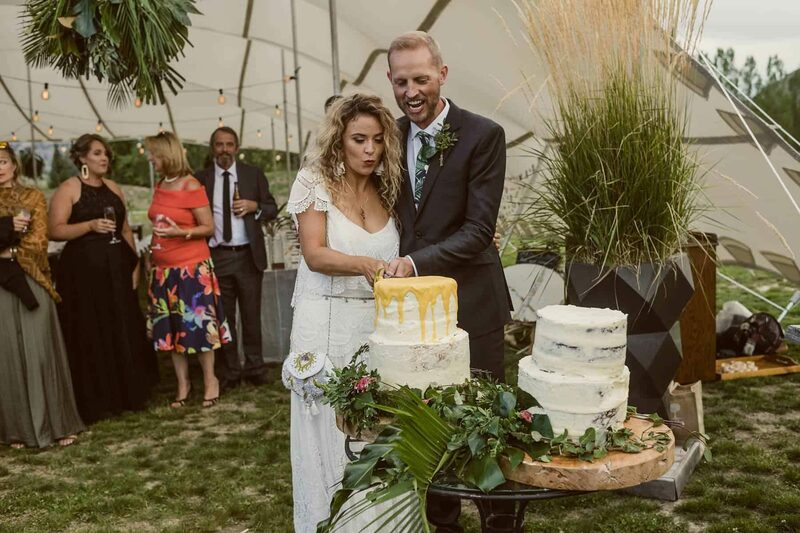 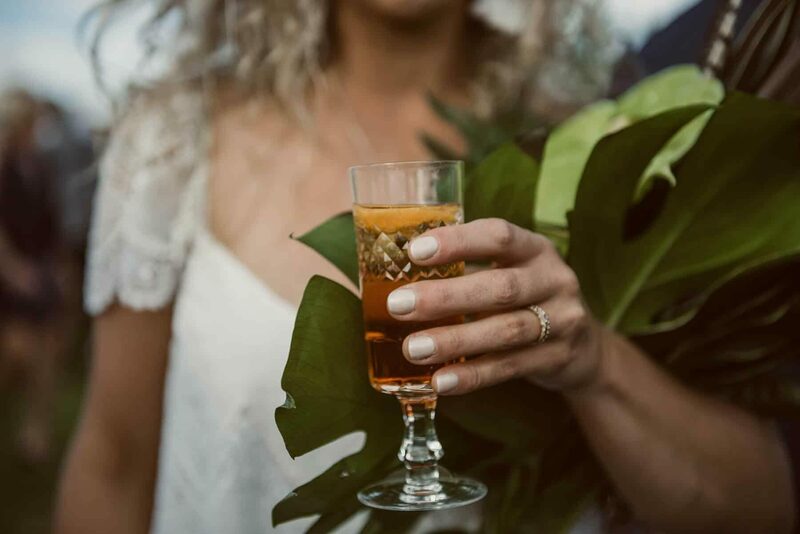 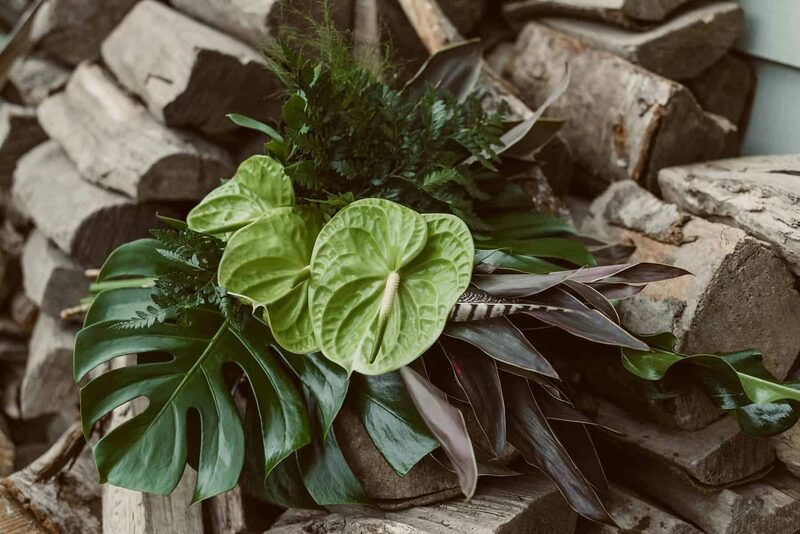 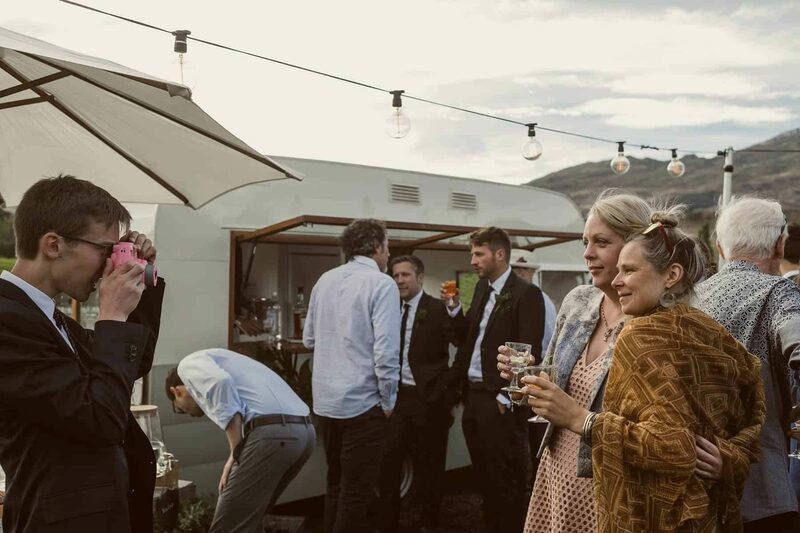 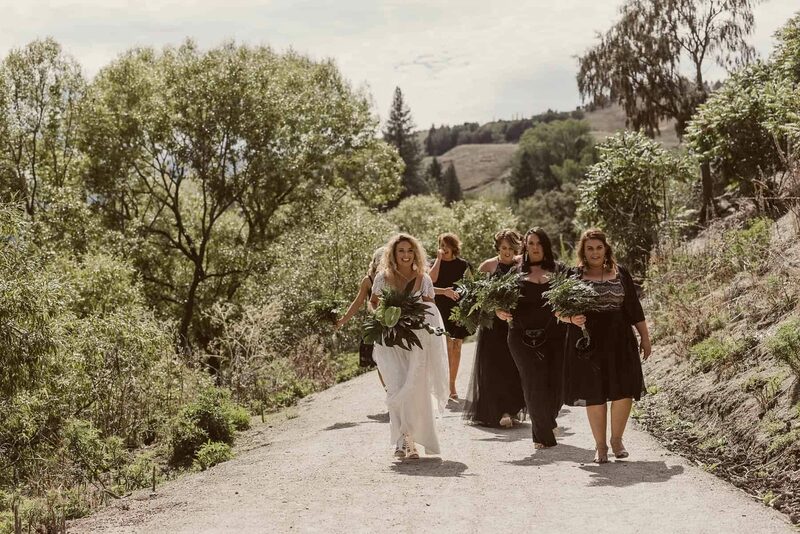 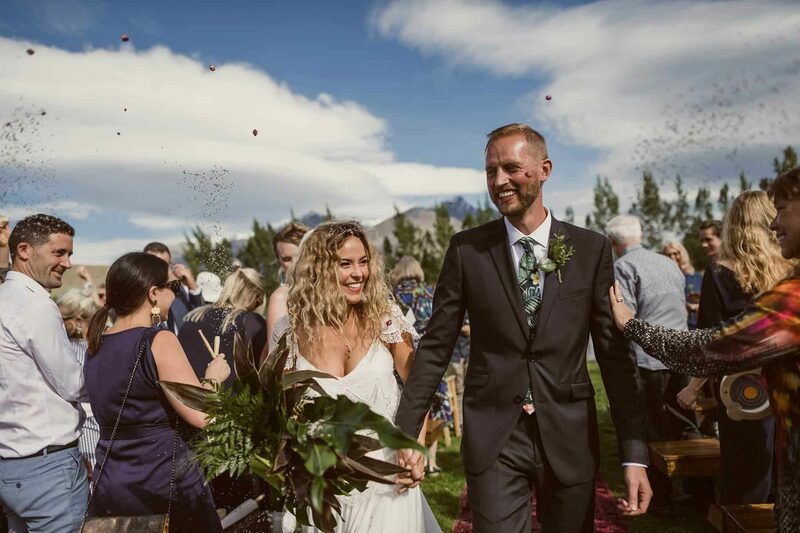 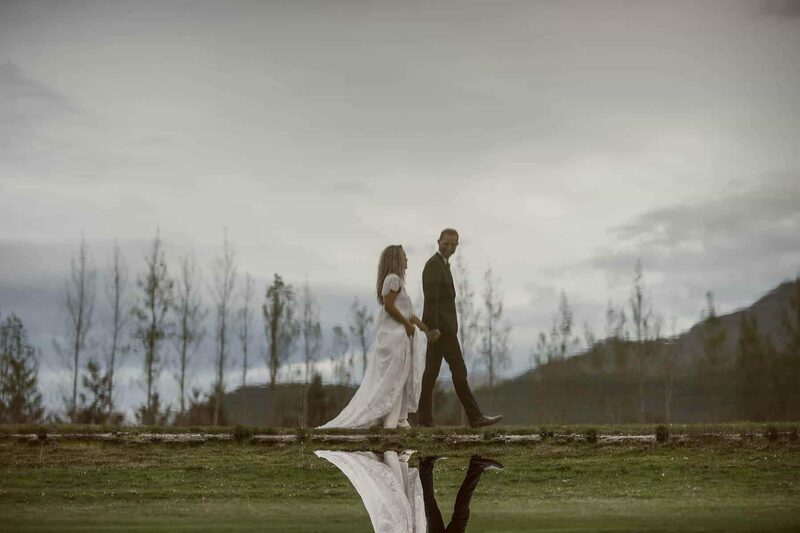 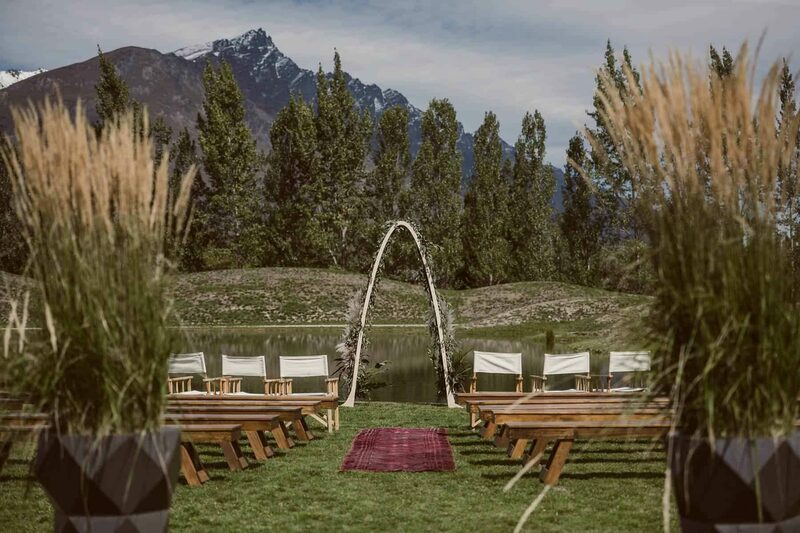 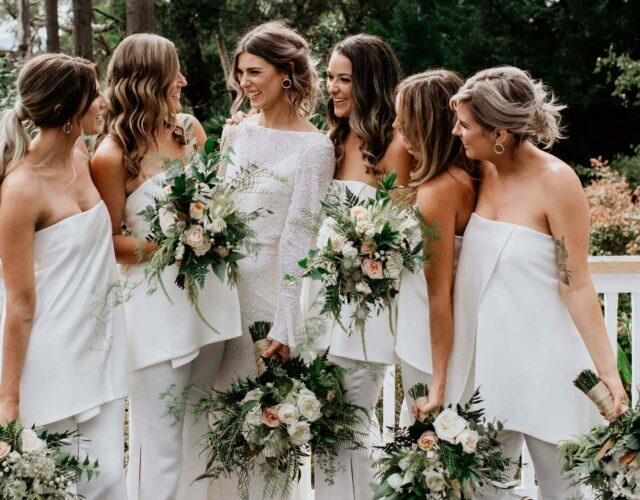 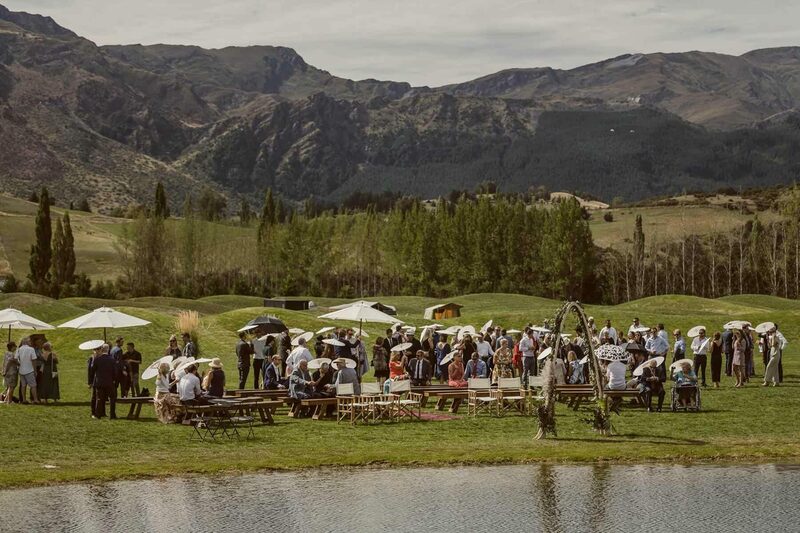 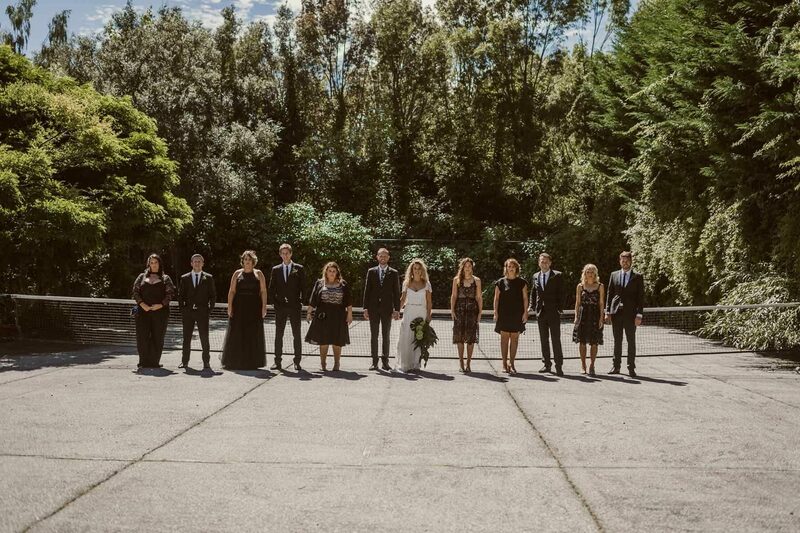 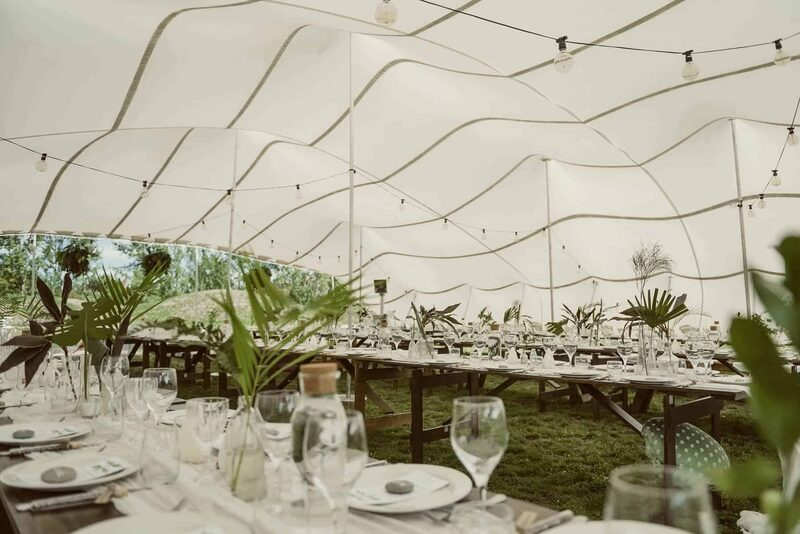 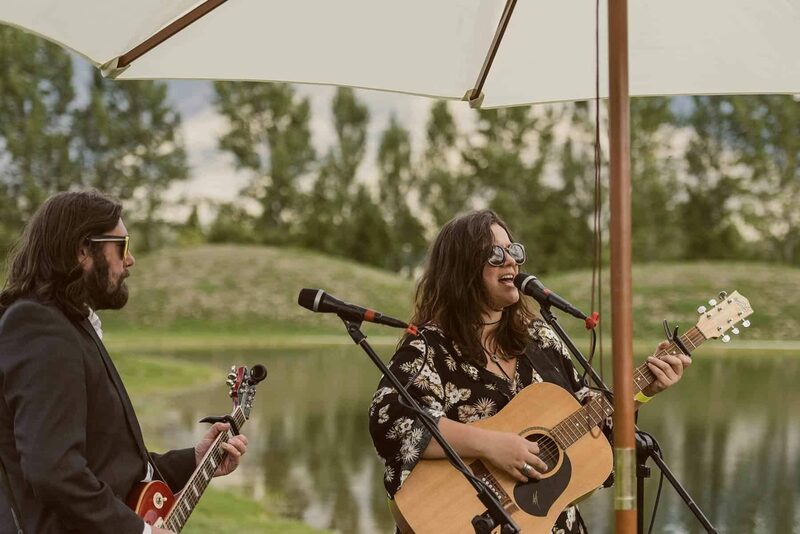 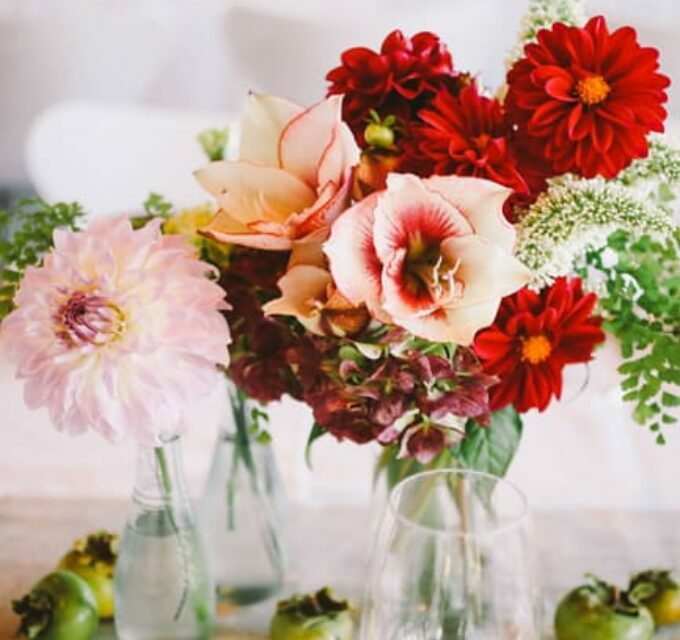 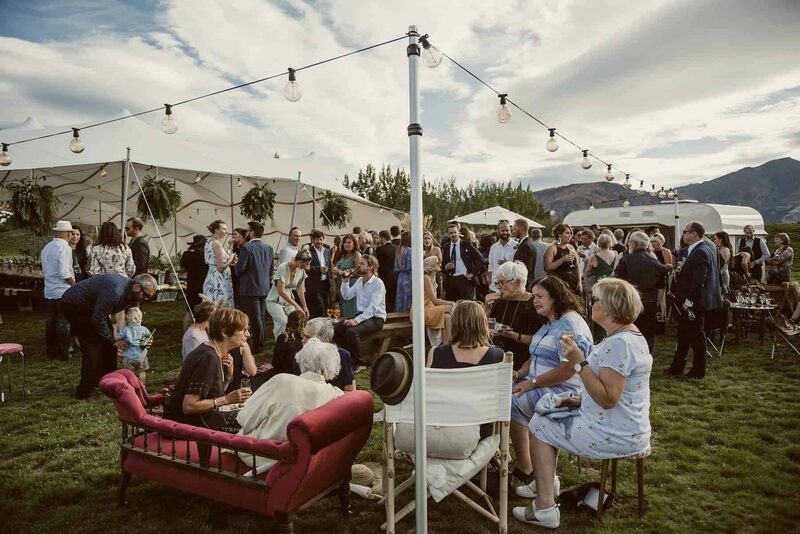 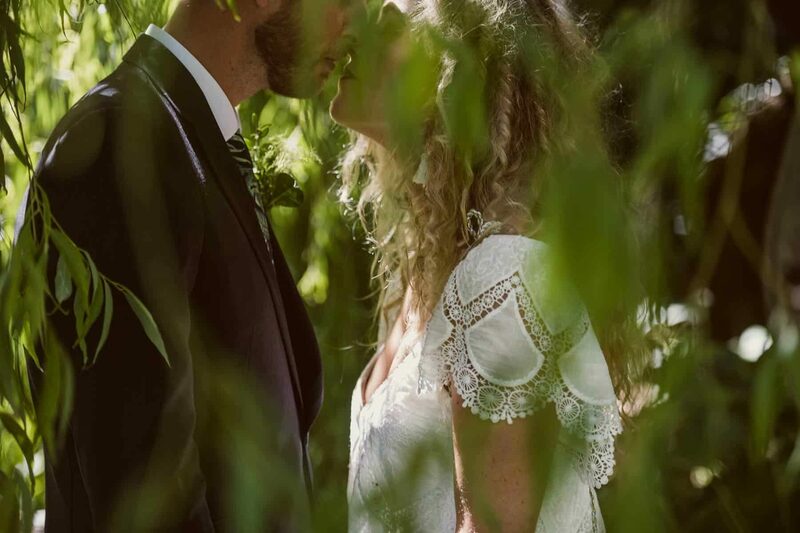 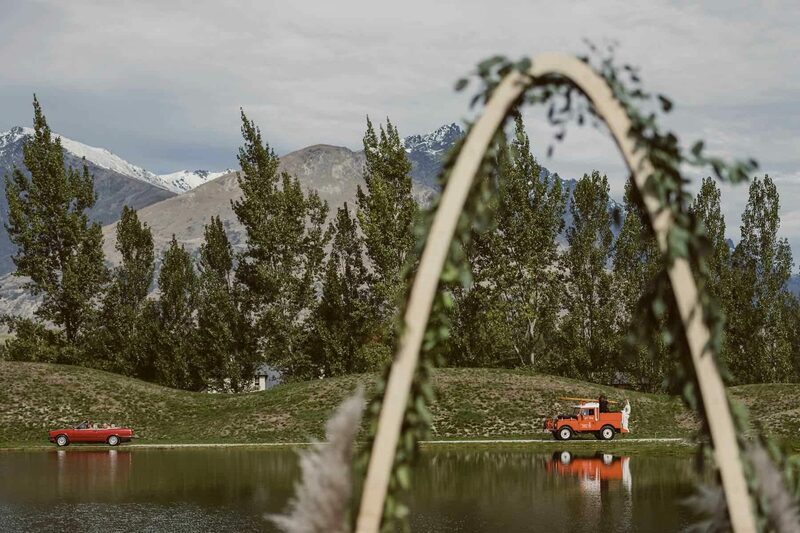 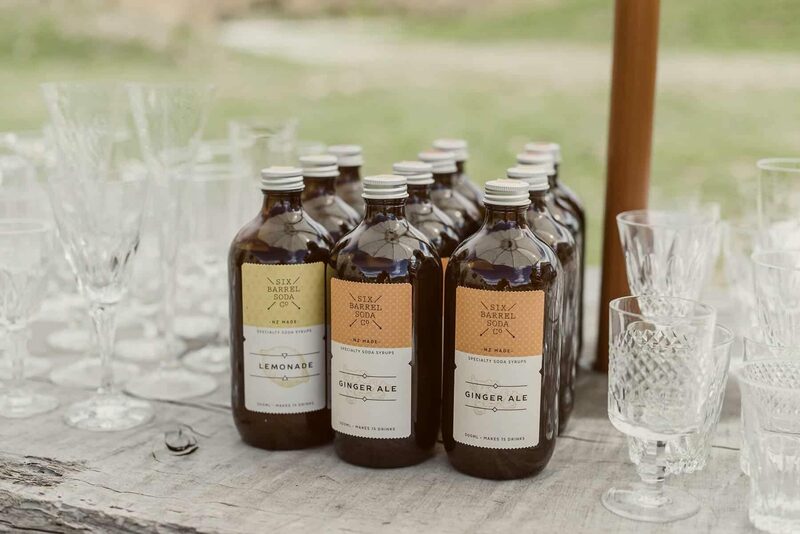 Captured by Todd Hunter Mcgaw, Ash and Damien’s greenery filled wedding was held on the groom’s picturesque family property in Dalefield, with a jaw-dropping backdrop of snow-capped mountains. 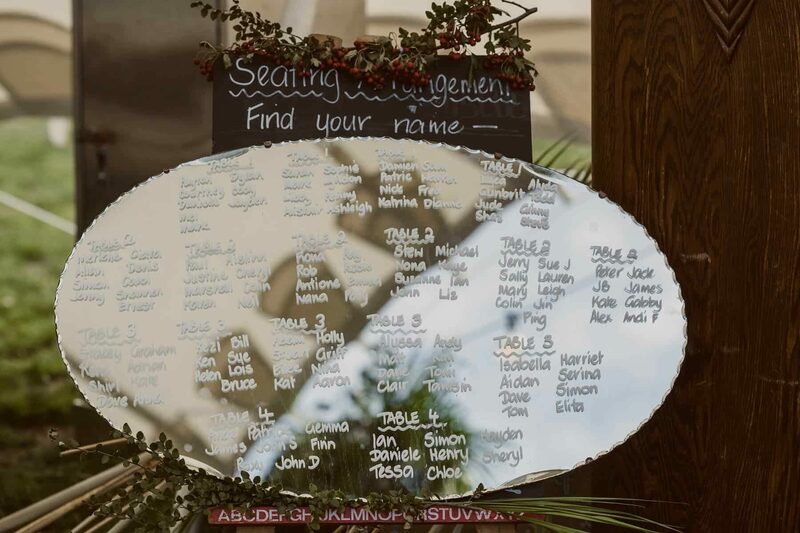 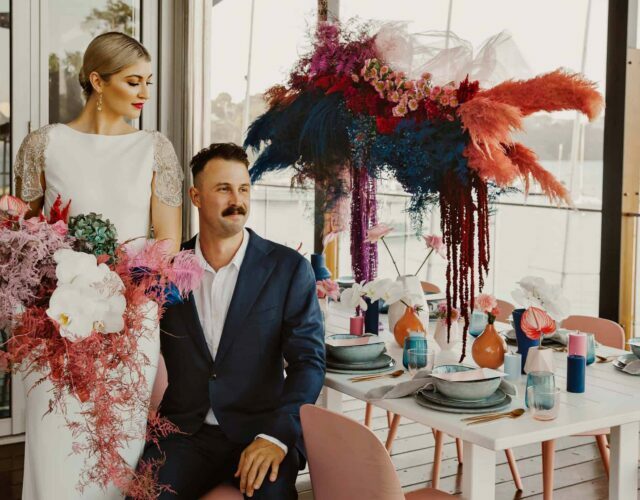 Ash and Damien’s DIY game was strong, with the pair putting their hand to every last detail (with a little help from loved ones). 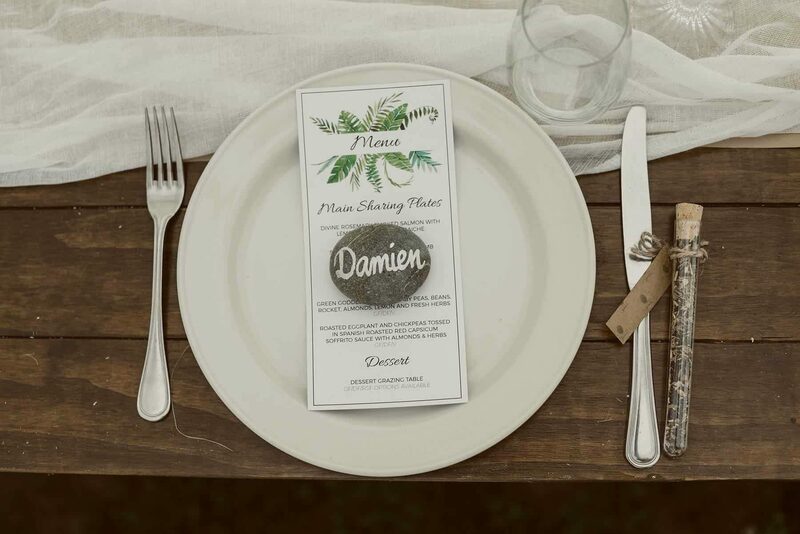 The theme of the day was fresh and green, so they opted for plenty of foliage in lieu of flowers, keeping everything else neutral and natural. 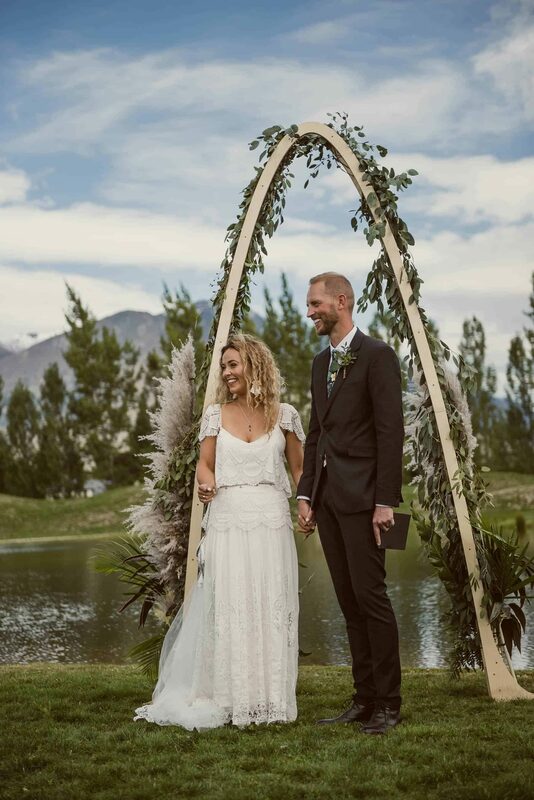 They said their forevers by a glassy pond, in front of an arbour made by Damien and adorned with pampas grass and greenery. 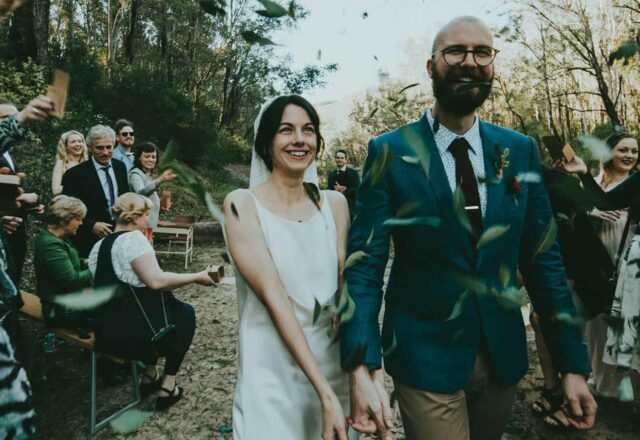 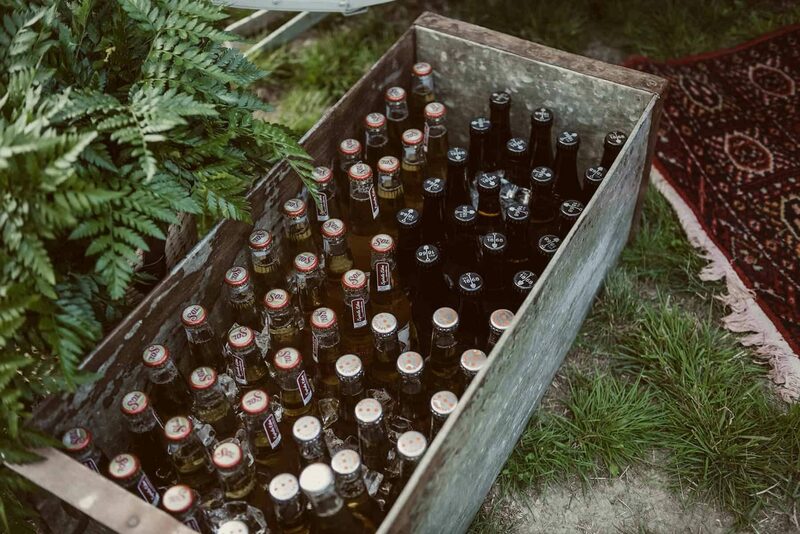 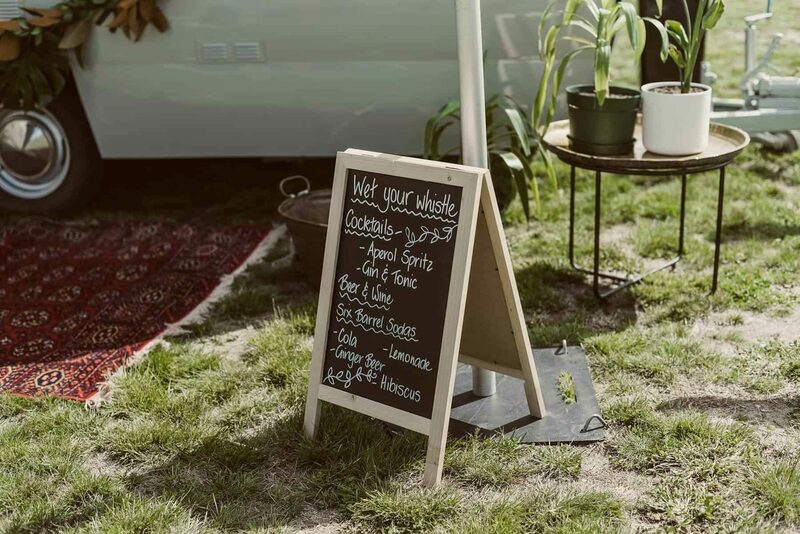 Spoiling their guests with choice, the two hours between ceremony and reception were filled with lawn games, cocktails from The Oxford St Caravan Bar, a coffee cart, pop tricycle and an incredible grazing table that the couple put together themselves. 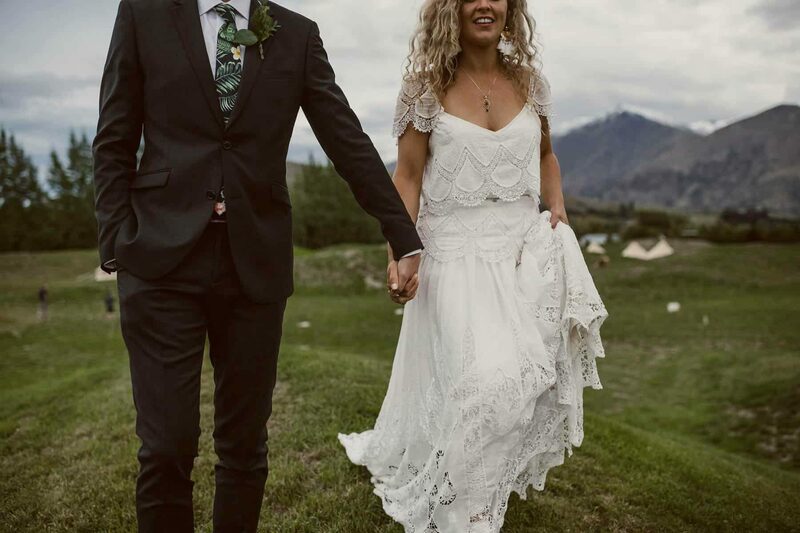 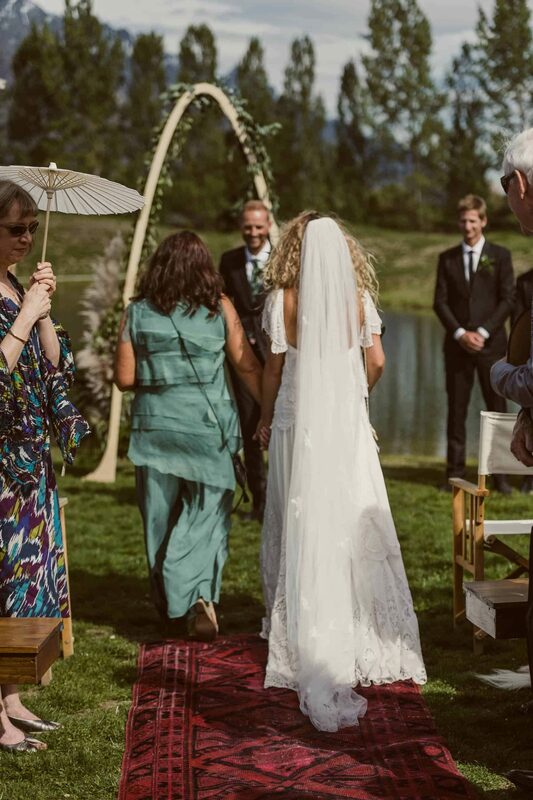 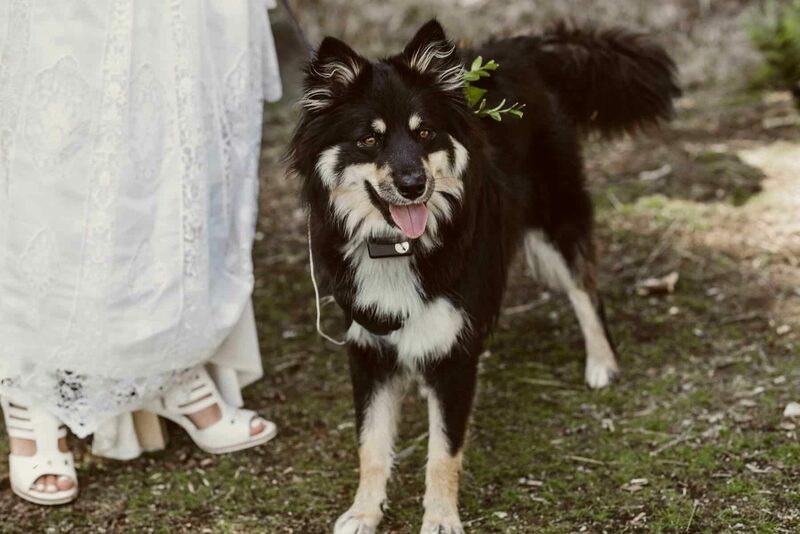 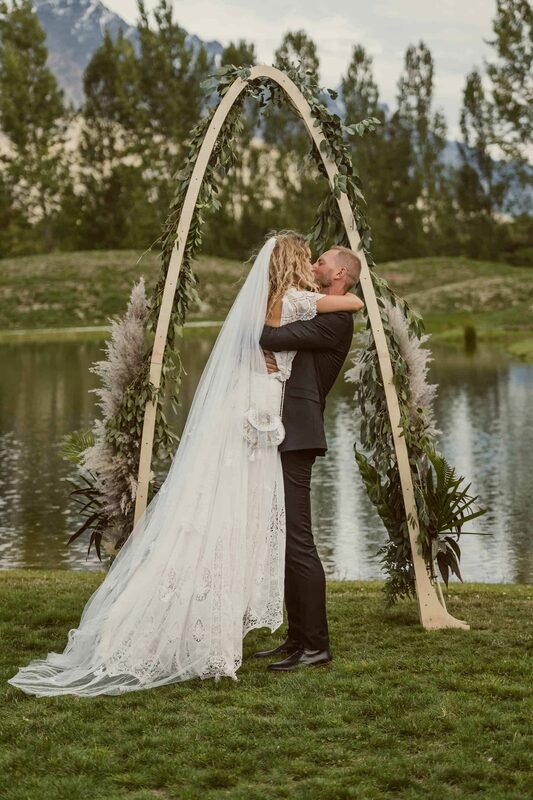 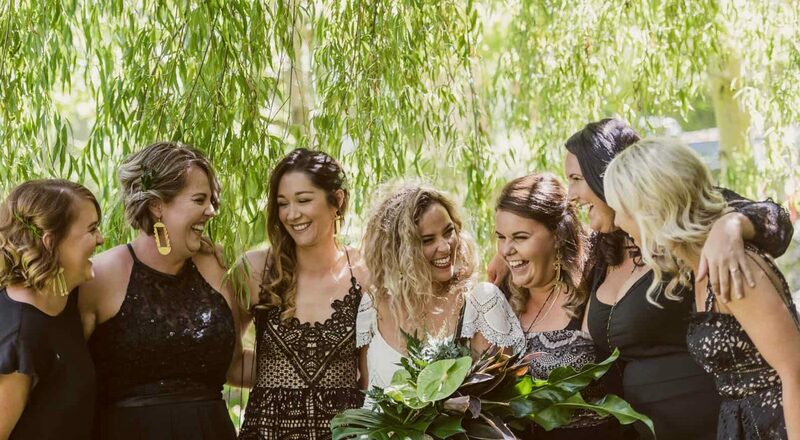 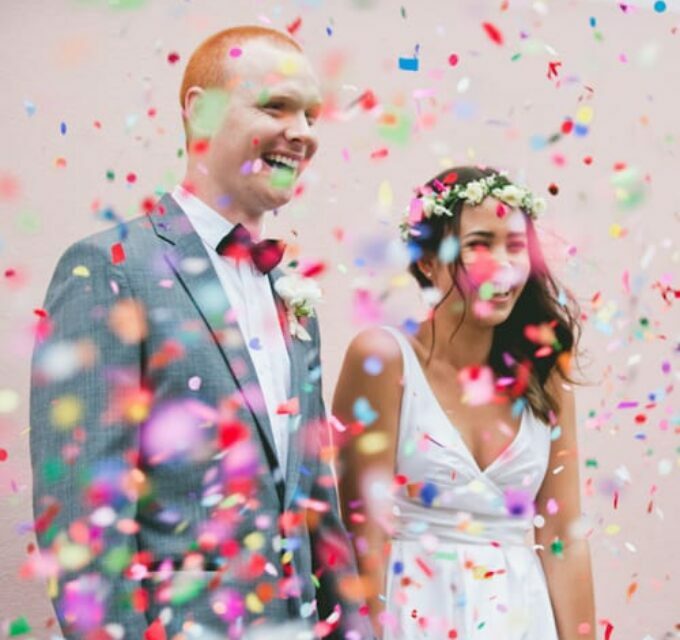 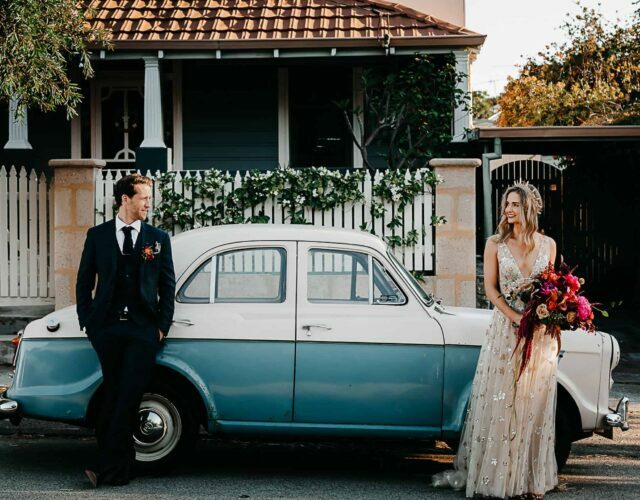 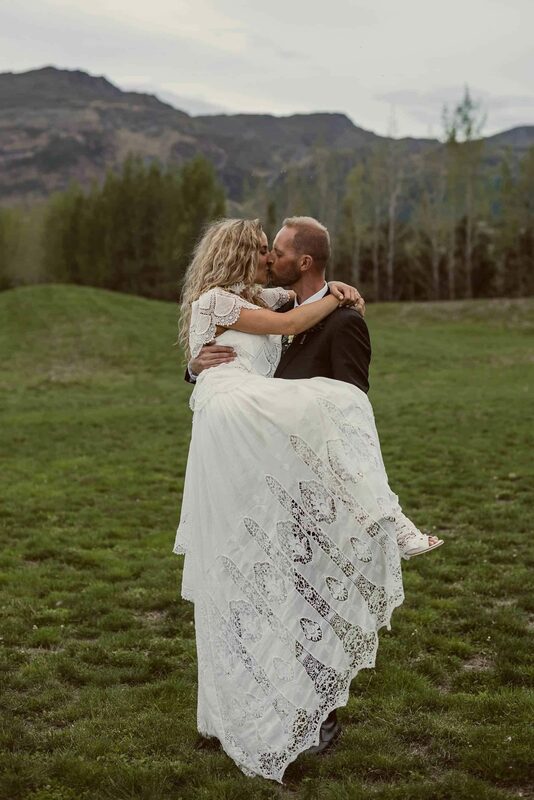 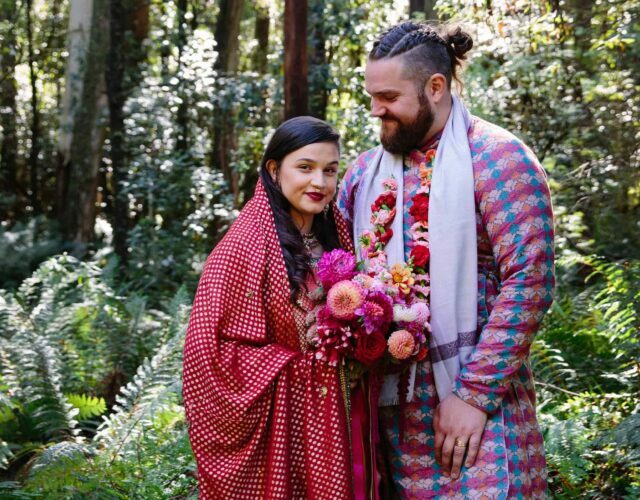 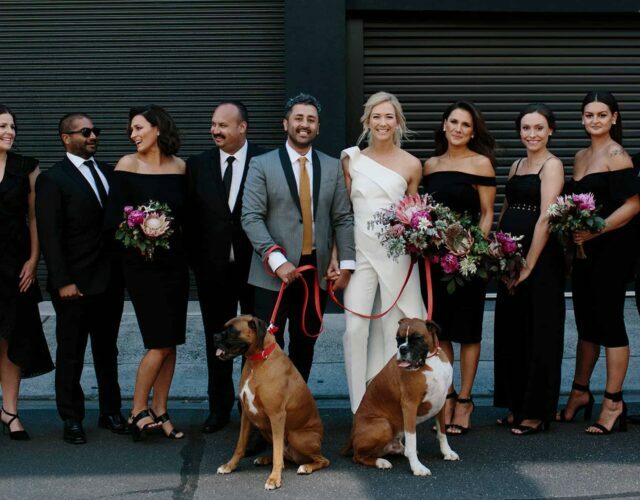 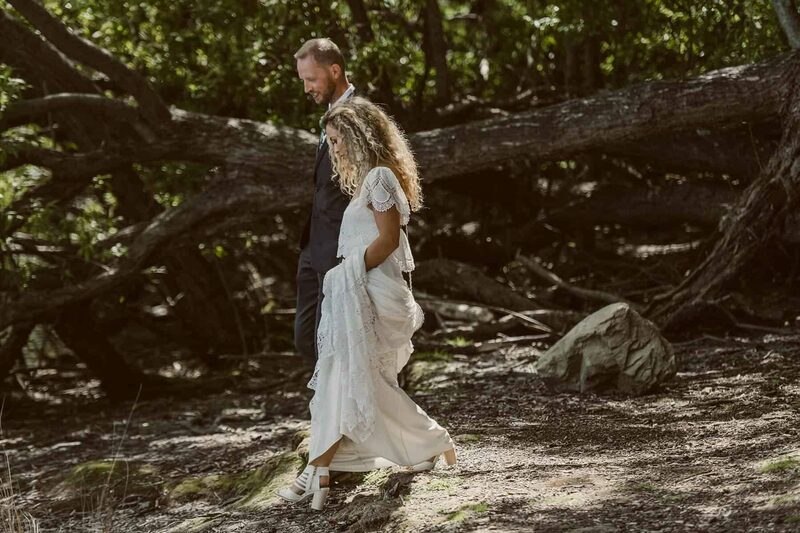 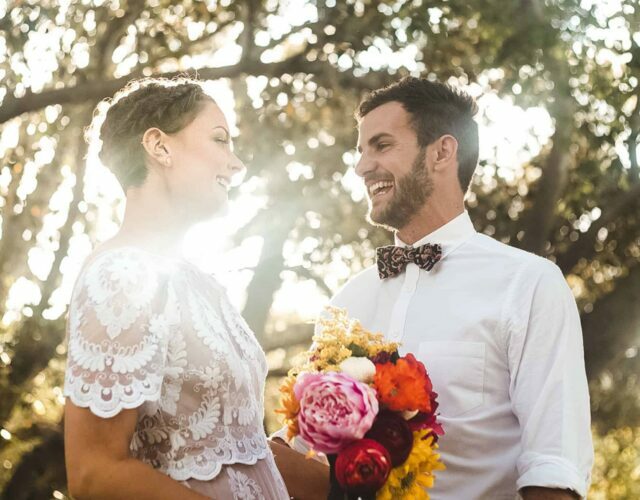 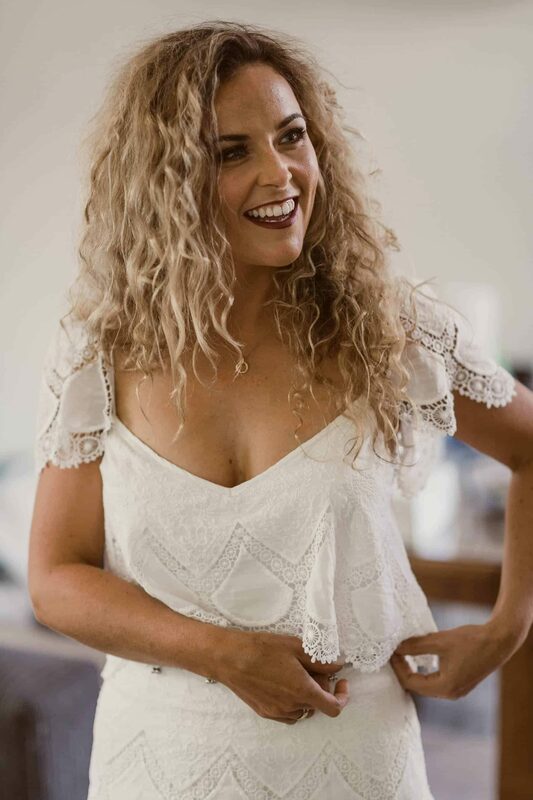 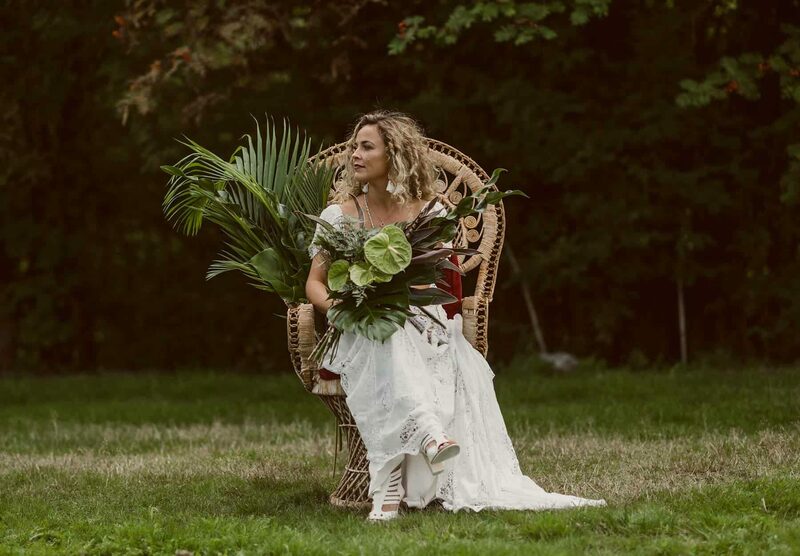 Ash wore a gorgeous lace dress from NZ darlings Rue De Seine, which she nabbed second hand from Secret Lace Bridal. 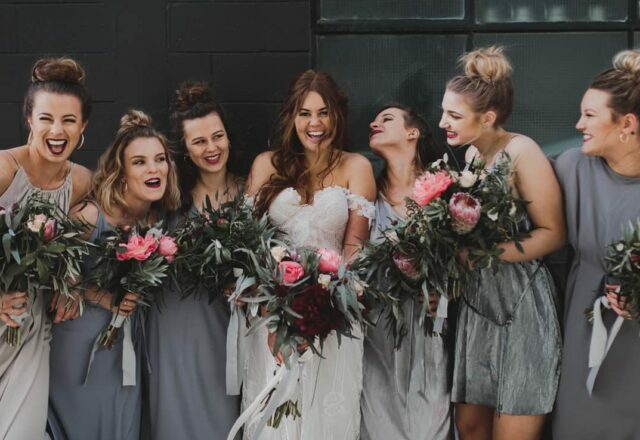 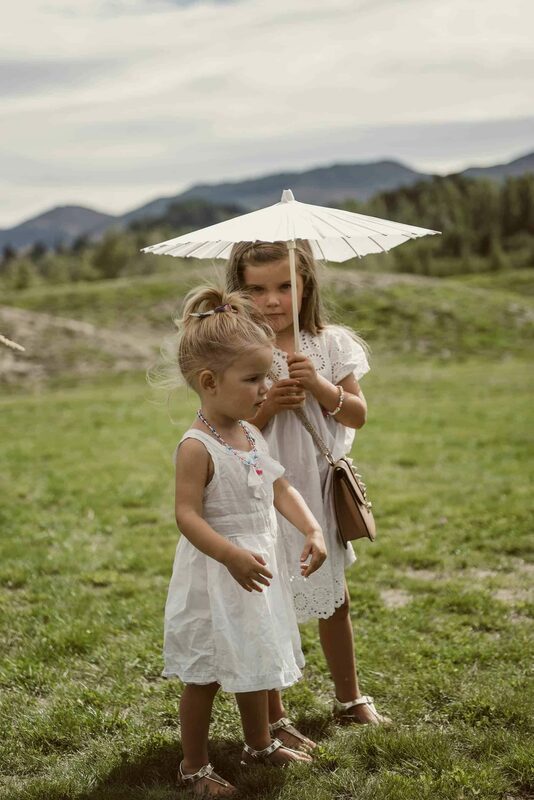 Wanting her girls to be comfortable on the day, she asked them to choose their own dresses, with the simple guideline - black with a lace detail. 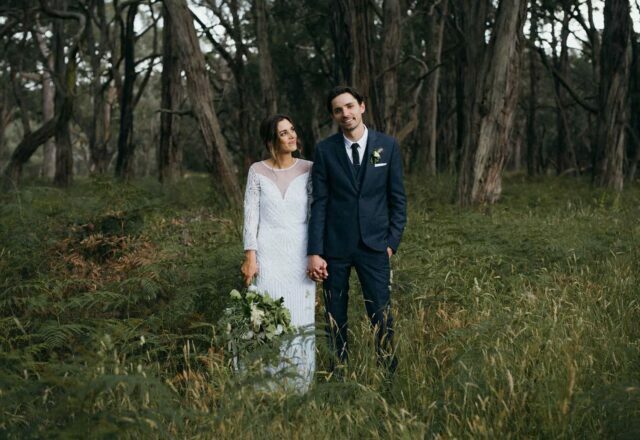 Ash and Damien decided to have their couple shots taken before the wedding, making room for more time with their loved ones throughout the day. 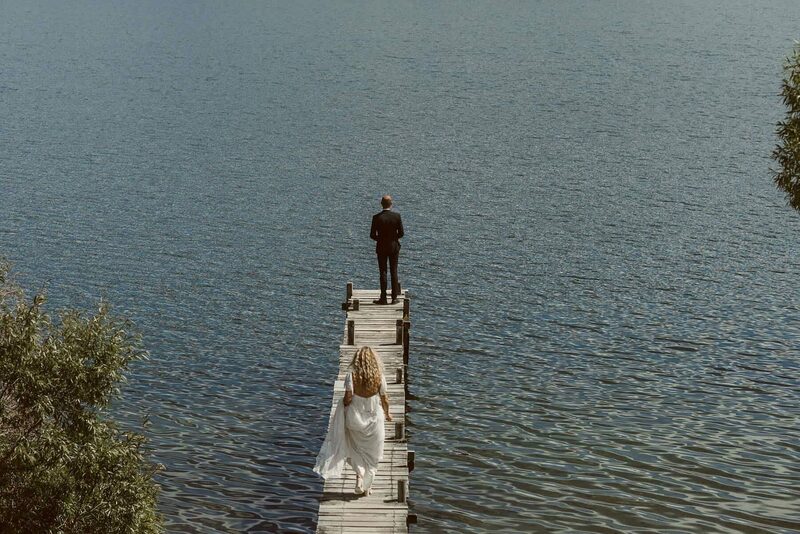 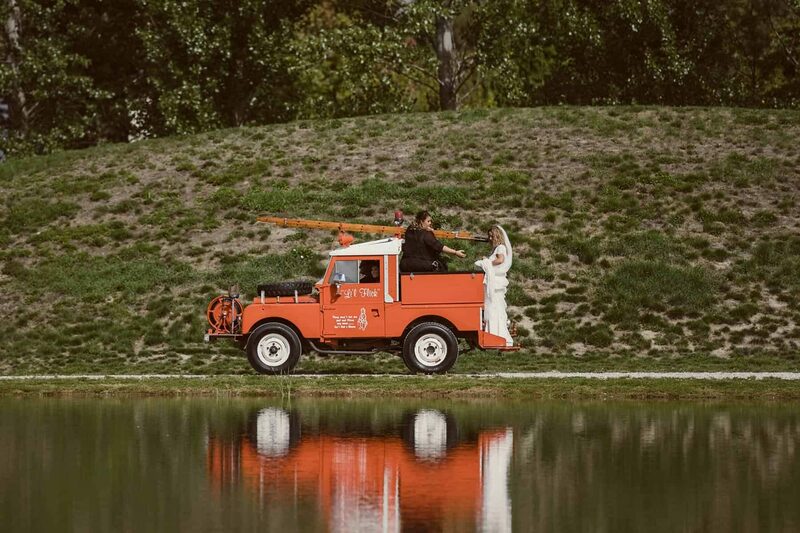 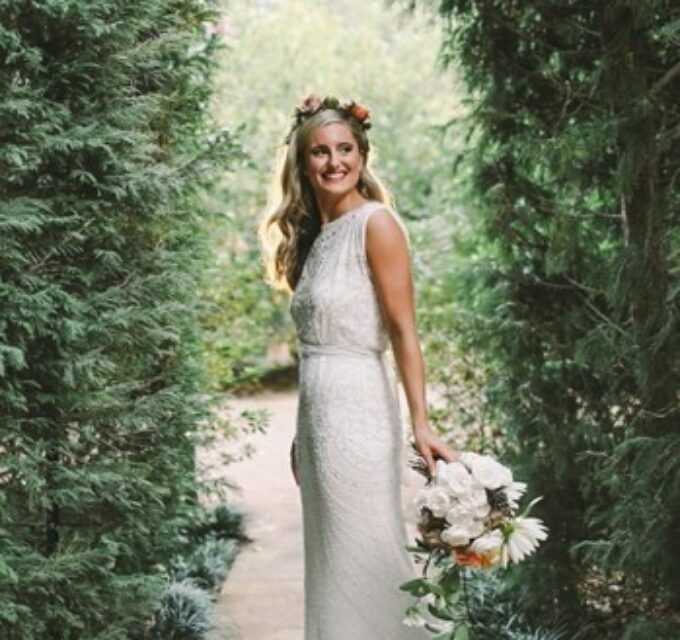 Photographer Todd Hunter Mcgaw found the perfect spot on a pier over the lake to capture the first look! 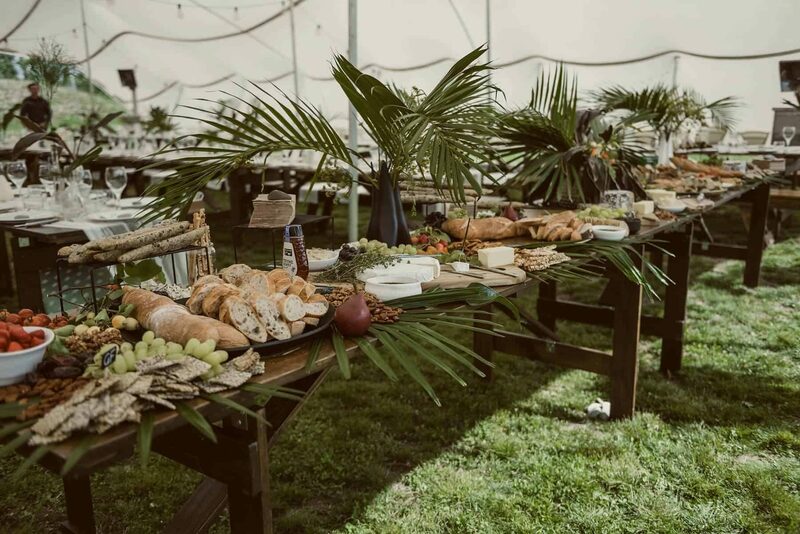 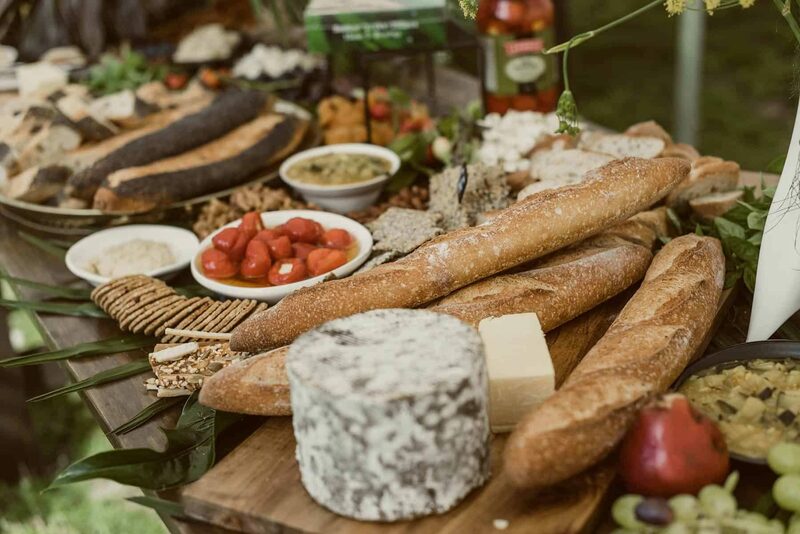 We love a good grazing table, especially when it's a DIY effort! 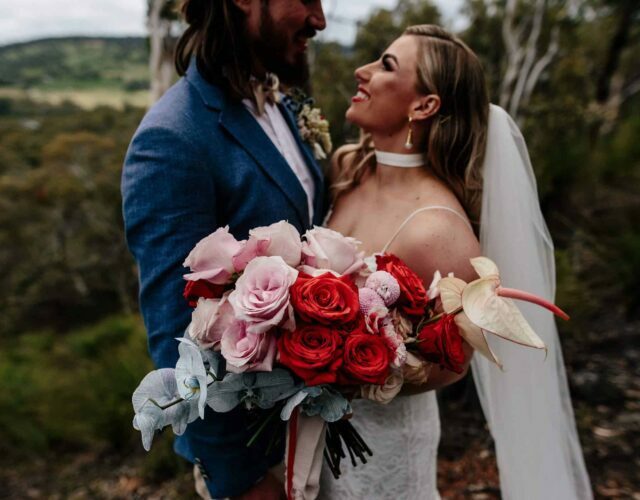 Ash and Damien pulled this feast together with help from some talented friends and plenty of lovely greenery from Bloomin Gorgeous. 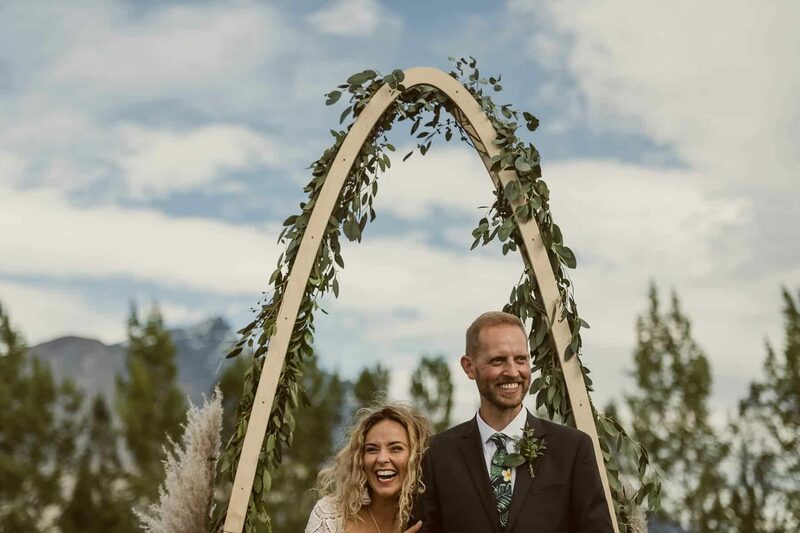 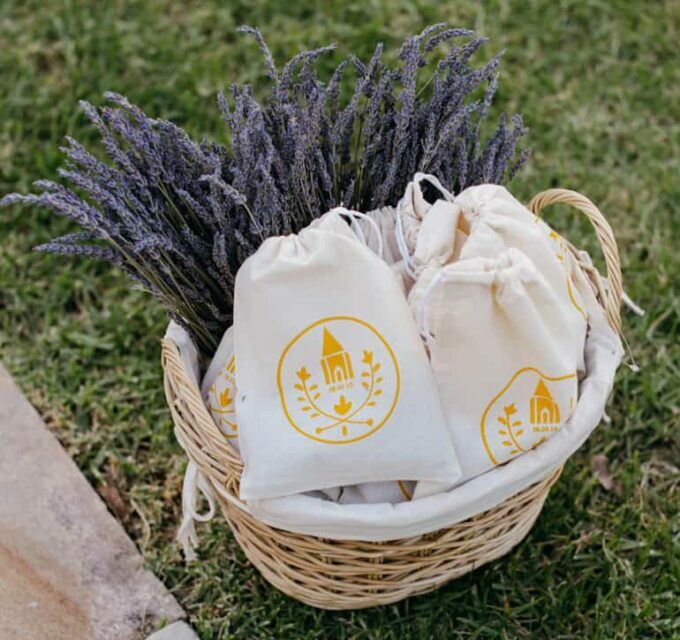 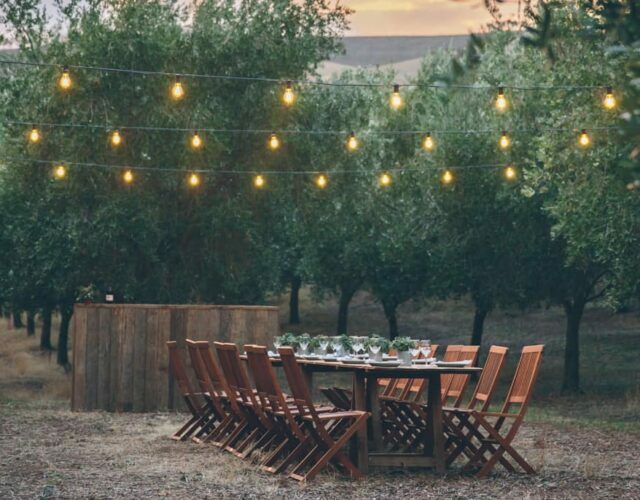 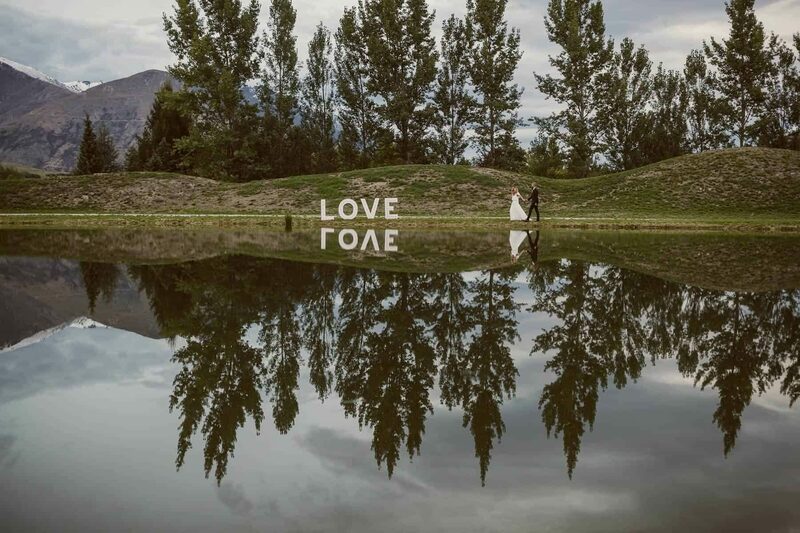 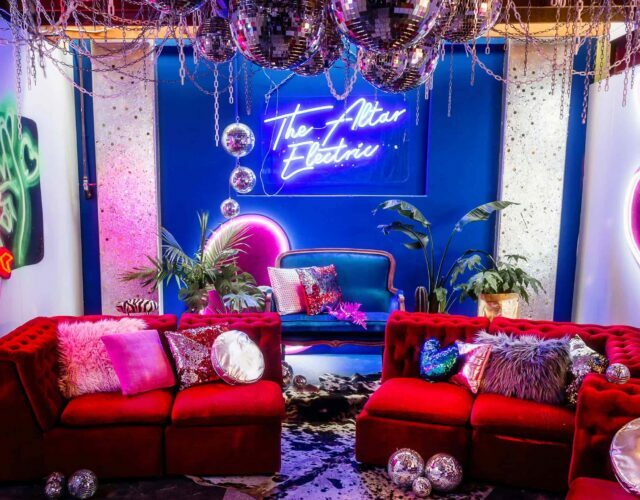 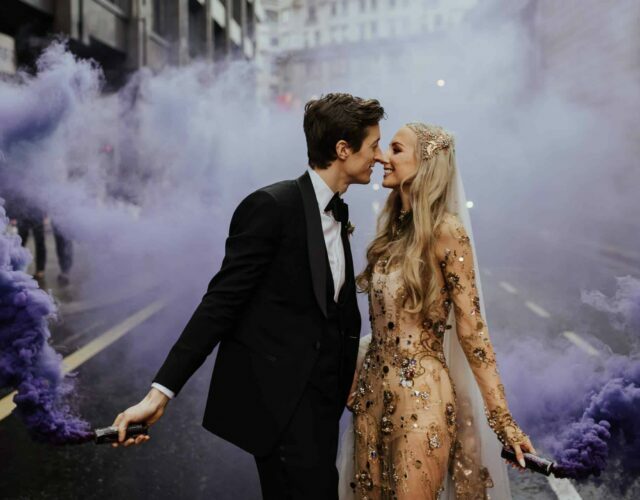 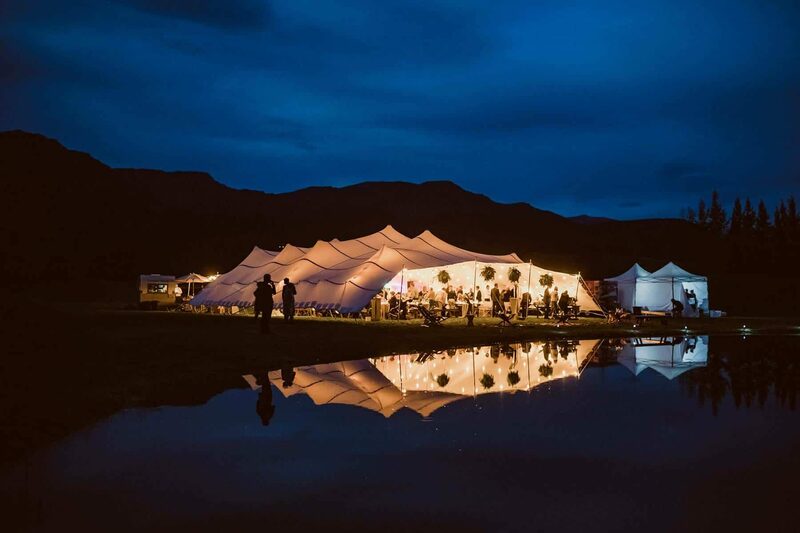 This creative couple went DIY for many gorgeous elements of their day, including the giant illuminated LOVE sign made by the bride, captured by Todd Hunter McGaw.